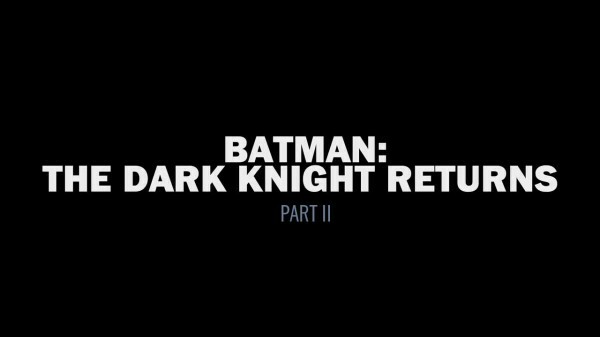 When last we left the Dark Knight, he had returned, and so had a lot of problems. Both an immediate threat and a looming menace have been defeated, and now things need mopping up. But new dangers lurk in the shadows, preparing to strike. And Batman’s activities have gained the attention of powerful people, who aren’t fans of things happening outside their control. The Dark Knight Returns continues with Part 2, covering issues #3 and 4 of the comic series. Fair warning, we pretty much go over every detail of the movie and comic, so SPOILERS! The Joker has awakened from his catatonic state, for without the Batman around, there was no meaning in his life. 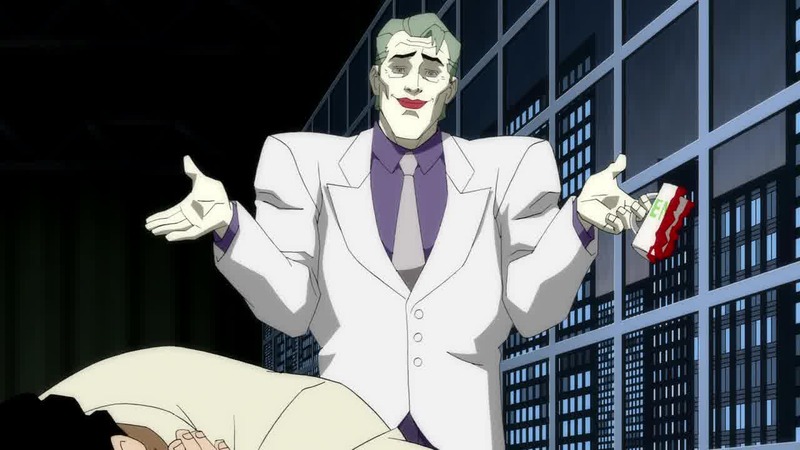 Now he is infused with revitalized purpose, and the doctors at Arkham Asylum have taken a break from appearing on television to blame Batman for everything to praise Joker for the breakthroughs he’s accomplished. They feel the Joker has genuine remorse for his crimes. The manipulation here is more forced and too brief, in the comics Joker awakens earlier and we see him develop through a few scenes instead of jumping to the point. Though it does highlight the incompetent doctors by making them more incompetent. 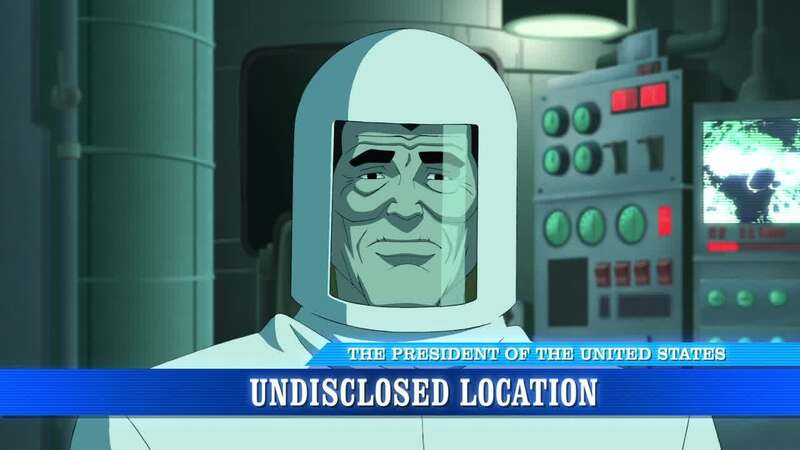 Joker is playing them like a fiddle, but he does manage to get them to agree to have him appear on a television show: The David Endocrine Show (a take on David Letterman, here voiced by excellent stunt casting with Conan O’Brien!) 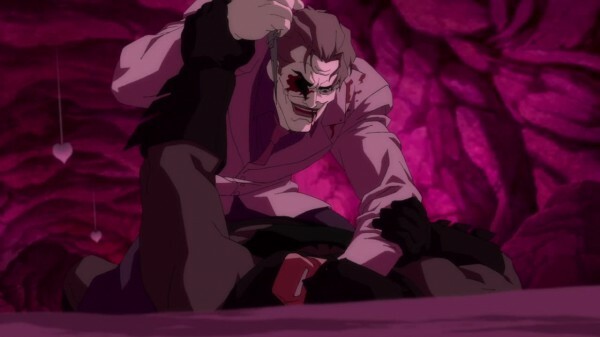 Batman immediately knows that Joker is planning to kill everyone. And he’s right. The Mutants have splintered in the wake of their leader’s defeat and humiliation. Some have taken up the mantle of Batman and viciously attack criminals in the streets. Others have formed more smaller gangs run by strongmen, or strongwomen, in the case of the Bruno gang. Bruno being a rather muscular woman who runs around without a shirt and only red paint Nazi swastikas covering her breasts. She’s referred to as Joker’s girl (this was pre-Harley Quinn), and she’s Batman’s next target as he tries to figure out what Joker is up to. The cops are now lead by the new Commissioner Yindel, whose first act was to call for Batman’s arrest. They are guarding the roof of the studio with a massive force. 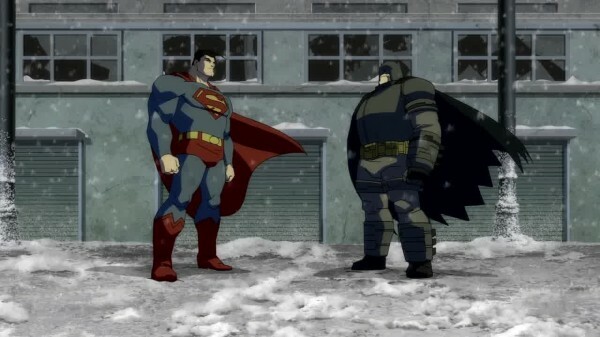 The battle will be futile, the cops are well armed enough that despite all of Batman’s skills and tricks, there are just too many of them with too much force that he can’t get through. He’s saved by Carrie as she flies the Batcopter in close to pick him up. By then it is too late, everyone in the studio is dead and the Joker is free.